Sales Performance and Sales Results Matter! Making sure that the key metrics are on point all through the month is key, plus having the skills and insights to reverse any decline and accelerate any upward trends is vital. Why profit is a fluctuating feast or famine. Why Am I Getting this Level of Sales Performance and Sales Results? It’s not what you think…the answer, that is. It never is because there’s always more. So much more! 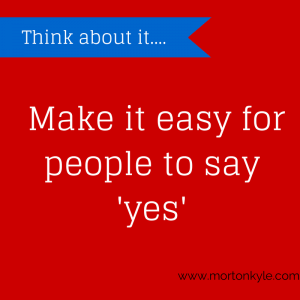 Write your sales performance and sales results problem down and then ask why. The truth is, you’ll get two dozen reasons…some of those reasons will be big, some small. Some of those reasons will be part of one bigger reason, some will be stand alone reasons, some reasons will already be known to you and others will be new. The skill here is just to keep asking ‘why’ until you get to the fundamental and most basic of answers. For example – why are the sales guys diaries empty? Get a large blank piece of paper. At the centre of the page write the problem…empty sales guy’s diaries. Down the middle left hand side write all the possible causes of that. Down the far left hand side write all the causes of the first line of causes. Down the middle right hand side list all the implications, or consequences of that. What you’ll see down the right hand side is an order of the impact…so you can see if this is a problem that is worth applying your time and intellect to. For example, if the implications are few, it may be a problem you have to deal with, but perhaps there are bigger problems with more far reaching consequences. You might come to the conclusion that actually the empty sales diary is the result of poor territory management, data selection and prospect clarity because that’s the REAL cause, rather than just blaming it on the reward and bonus structure. Look at which of the sales guys perform best in each section of the sales process. Now look at which of the sales guys perform worst in each section of the sales process. Now you’ve identified another set of causes or you’ve confirmed the causes you’ve identified above. In your role as Sales Detective, you’ll have to fight the continual urge to solve the problem immediately. That’s not your primary concern…if you do that, you’ll simply be falling into the same trap that many sales leader do. 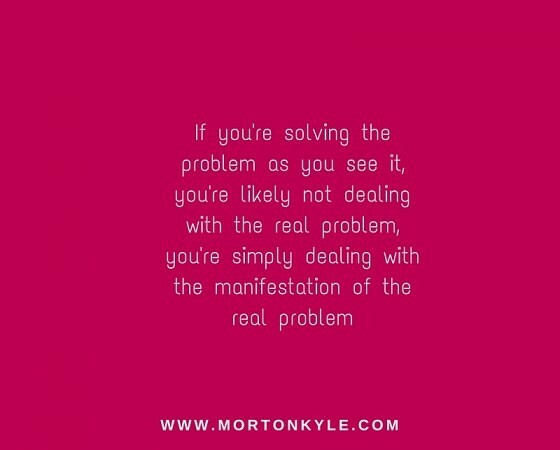 The skill is in being able to STOP trying to find the solution long enough to allow you to discover what the REAL problem is. Once you’ve discovered the REAL problem then you’ll most likely be able to solve the sales problems in a heart beat. So now you have now identified all the key causes and problems that manifest themselves in poor sales performance and sales results. Now you’ve identified some of the causes then you’re able to evaluate a plethora of suitable solutions because there is never just one simple fix. 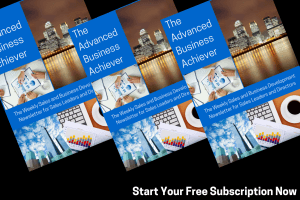 If you’d like to understand more about the absolute sales performance of your sales and business development function and how to increase sales and reduce wastage in the sales unit – let me know. The Morton Kyle Sales Audit is an intensive diagnostic and sales improvement tool, because it’s specifically designed to facilitate rapid sales performance and sales results turnaround. This entry was posted in Blog, Business Strategy, Sales Audit, Sales Consultancy, Sales Leadership, Sales Management, Sales Strategy and tagged Business Development Training, Improving Sales Performance, Problem Solving, Sales, Sales Performance, Sales Results, Sales Training, Strategy. Bookmark the permalink.